Raise your website SEO with Mavinscape international copywriting and get more buying traffic for your website. SEO translation Mavinscape international SEO company merges 3 functions in our professionals: the SEO marketing analysis, professional and qualified translation and creative writing. 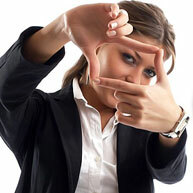 professional rewriting of SEO articles in German, English and also Ukrainian and Russian. Today a great deal of online companies offer creative writing for customer websites. But one type of creative writing is different to the other when we compare our real SEO text that brings purchasing traffic and simple 100% unique text. For instance, you order the translation of articles to get the unique content for a website. You order 100 and more articles and someone is typing and typing somewhere now in order to give this huge volume of work in a short period of time. And then from time to time you will put the articles onto your website trying to become higher in Google simply basing on the uniqueness or you will do SEO yourself after or order this service in some other place. Are many creative writers aware of Google algorithms? There are a few of them. The same thing when we speak about translators and translation companies offering language services. The translation is the shortest way to get the unique content, but what about SEO? Many translation companies do the localization of a website, but what is this? It does not mean SEO, they only translate all your content to the realities of the target audience. Only well-translated content does not guarantee the traffic. They won’t make the keywords profound research, but this thing is important how to put all SEO phrases in translation properly. Our international SEO company selects and hires the most talented translators and teaches them the SEO marketing tools giving the living practice of creative writing so that one professional becomes a multilingual copywriter-generalist and grows professionally in our multilingual SEO team being up to date to the current and future markets.